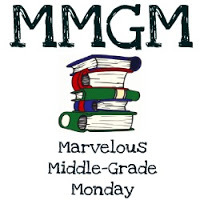 This entry was posted in Reviews and tagged Marvelous Middle Grade Monday. Bookmark the permalink. Thanks so much for doing this, Greg! Also, I’d like to note that my post is Part Two, which includes a guest post from the authors and a giveaway. You’re in. Thanks for the link. Hey Greg, I reviewed Anni Moon last week. You’re welcome to link it in if you want.